How trustworthy are you on a scale of 1-10 – really? Why do I ask? Because I have a theory, that as people, we are becoming less trustworthy. Let me give you an example – you buy something from a shop and return to your car and realise they have given you too much change – what would you do? Our internal responses will vary from ‘ah, nice one!’ To; ‘ah, well it was their mistake’, to; ‘I would go back but I’m in a hurry’ etc. etc. – how many people would return on a matter of principle? Not that many I suspect. Matters like these go to the heart of character and what I believe the world needs today in the context of leadership. If this person will essentially steal from the local garage, what happens when he notices there has been a mistake calculating his bonus or for that matter, your bonus – what will he do? I hear you say, ‘well that would be different’ – well at what point does it become different? There is no question; it opens up all sorts of ‘grey’. Leadership and the importance of being trustworthy is not an exact science. There are plenty of examples of great leaders lacking traditional moral standards – Dwight Eisenhower, George S Patton and Martin Luther King to name a few. Can we be trustworthy in some contexts and not in others? As part of our ‘Conscious Leadership’ development journey we start by working with leaders to identify their personal values and hold the mirror up in order that they can explore whether they are living their life by those values, and if not, what they may choose to change. The experience can be life changing. Honesty is an important value to many and there are so many more; love, faith, compassion, enthusiasm, openness, contribution etc. etc. Whatever your values, the importance of knowing what they are and living by them cannot be underestimated – we’ve all found ourselves in a pickle when we’ve done something in our hearts we know we shouldn’t have done. It’s fair to say that there is no one absolute barometer of successful leadership but I know one thing is for sure, I’d rather be led by someone I trust. This entry was posted on February 20, 2012 at 5:27 pm and is filed under Blue Sky General, Leadership, Management Development, Training & Development. You can follow any responses to this entry through the RSS 2.0 feed. You can leave a response, or trackback from your own site. I would recommend the book ‘Speed of Trust’ by Stephen Covey’s son. Great read and shows how trust is not a ‘soft & fluffy’ thing, but something that impacts your EBITDA, share holder value, brand, societal trust (think banks on that one!) and so on….. He talks about how trust in organisations links directly to its profitability and long term health. A study by Watson Wyatt shows that total return to shareholders in high trust organizations is almost three times higher than the return in low trust organizations. That’s a difference of nearly 300%! amount of time it took to make change for his customers. Finally, Jim simply put a small basket on the side of his stand filled with dollar bills and coins, trusting his customers to make their own change. Now you might think that customers would accidentally count wrong or intentionally take extra quarters from the basket, but what Jim found was the opposite: Most customers responded by being completely honest, often leaving him larger than normal tips. Also, he was able to move customers through at twice the pace because he didn’t have to make change. In addition, he found that his customers liked being trusted and kept coming back. By extending trust in this way, Jim was able to double his revenues without adding any new cost. One of the many things that stood out from his book for me is these paragraphs…. Consider our society at large. 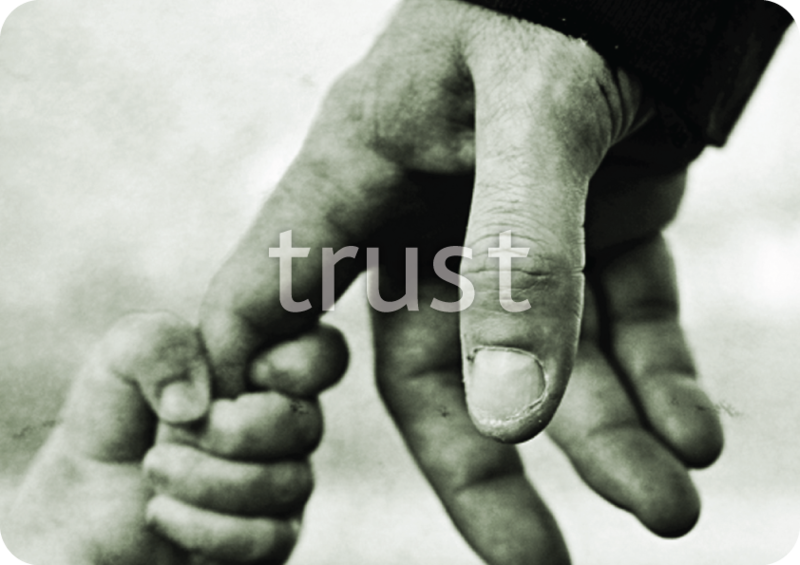 Trust in almost every societal institution (government, media, business, healthcare, churches, political parties, etc.) is significantly lower than a generation ago, and in many cases, sits at historic lows. In the United States, for example, a Harris Poll revealed that only 22% of people tend to trust the media, only 8% trust political parties, only 27% trust the government, and only 12% trust big companies. Perhaps even more telling is the loss of trust with regard to people trusting other people. A recent survey conducted by British sociologist David Halpern reveals that only 34% of Americans believe that other people can be trusted. In Latin America, the number is only 23%, and in Africa, the figure is 18%. Halpern’s research also shows that four decades ago in Great Britain, 60% of the population believed other people could be trusted; today, it’s down to 29%. How does it make you feel to know that there’s more than a 50% chance that thedoctor who’s going to perform surgery on you cheated in school? Or a 75% chance that the company you’re going to work for is being led by someone who didn’t consider honesty important? Some thoughts on Trust from great leaders of the past……..
“Our distrust is very expensive”.